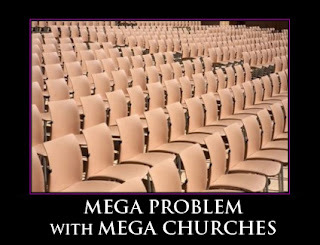 First, the growth of the early church in numbers should not be understood in light of our modern day mega church growth. When church growth is mentioned, it is in relation to the overall growth of the church in a city or town or region. 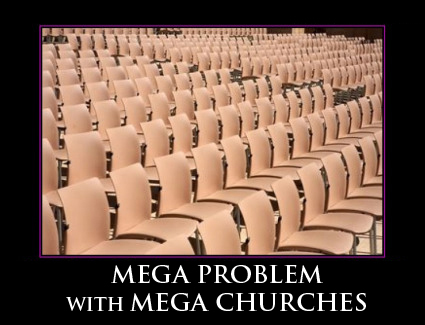 For example, when in Acts 9:31 it is mentioned that the church grew in numbers, it grew in Judea, Galilee and Samaria. This church growth is not about an individual church growing in a particular locality, eventually becoming a great crowd or a mega church. Indeed, the vast number of believers had split into local churches that gathered as small communities in informal places. It is obvious from the New Testament that the early churches gathered at homes as small communities (Acts 2:46; 8:3; 12:5, 12; 16:40; 20:7-8; Rom. 16:3,5; 1 Cor. 16:19; Col. 4:15; Phm.1-2; 2 Jn. 10). New Testament scholar, Ben Witherington III, mentions that the early churches gathered in homes, presumably well-do-homes, which could not likely hold more than 50 persons for a meeting. If there was a courtyard, up to 120 or so could be accommodated (The Acts of the Apostles: A Socio-Rhetorical Commentary, pg. 211). Take note of this: the issue here is not about gathering particularly in houses. A church can gather anywhere for its meeting and edification. The main point is how small communities can be effective, leading to the following point I am going to discuss. You see, these Scriptures testify that the early church not only grew in numbers, but also in faith and in fear of the Living God. Of course, there were problems in these communities, but the apostles were focused on strongly establishing the faith of believers in the Lord Jesus Christ. Don't you think the epistles of the New Testament are evident of such efforts? One of the key elements for which the apostles constantly took effort—it is to strengthen the churches and make them solidly grounded in Christ Jesus. Paul and Barnabas “returned to Lystra, Iconium and Antioch, strengthening the disciples and encouraging them to remain true to the faith” (Acts 14:22). Paul “went through Syria and Cilicia, strengthening the churches” (Acts 15:41). Paul “traveled from place to place throughout the region of Galatia and Phrygia, strengthening all the disciples” (Acts 18:23). If there is anything the apostles hated to see in the churches they planted—it is the shallow faith of believers. To see believers growing strong in faith, they took every effort to exhort and edify them—to live a holy life, to demonstrate love towards one another, to pray, to treasure God’s word, to resist and refute false teachings, to speak and live differently from the world, to wait eagerly for our Lord’s second coming and to seek to glorify the name of the Lord in everything. You know one thing that really impresses me when I read the book of Acts? It is this—Paul said to Barnabas, "Let us go back and visit the brothers in all the towns where we preached the word of the Lord and see how they are doing" (Acts 15:36). Mark these words, "Let us go back...and see how they are doing." We keep on preaching the word and having various programs, but do we say—let us see how our people are practically doing in their daily Christian life? Looking at the crowd of the church members, is this question asked—how can my people be discipled to grow and to become more like Christ Jesus. "Complacency is a deadly foe of all spiritual growth," said A.W. Tozer. These days I have been meditating on the book of Amos. What wealth of insights the Lord has in store for His children to learn about His ways! When I came to chapter 6, I was moved in my heart to self-examination, for it reveals three tragic signs of complacency. One of the terrible diseases of Christianity today is complacency [a feeling of self-satisfaction]. A.W. Tozer says, "Religious complacency is encountered almost everywhere among Christians these days." He also observed, "Among the many who profess the Christian faith, scarcely one in a thousand reveals any passionate thirst for God." I cannot resist agreeing with Tozer. If the world is shattered because of its callousness towards the truth, Christianity is miserable due to its complacency in the truth it has believed. Dr. Larry Crabb is one of the highly respected counselors of our day, writing extensively on the core issues of man’s needs and guiding many to find satisfaction in their Maker. He is an author who won my eyes, whose books I blindly recommend to read. Saved by HIS amazing grace - Called to equip the believers to actively function in the body of Christ and to effectively witness to the world - Married to Chaitanya, blessed with two wonderful sons, Joy & Joe - Proud to be an Indian, residing in Hyderabad, INDIA.